Conventional SEO is dead and gone. Thankfully. We had enough and more of that keyword-stuffed, scraped, spammy, black hat SEO that nearly toppled the internet under the weight of its disruptive practices. Starting with 2010 a wave of algorithm updates swept up the SEO space. Google, seriously bothered by businesses blatantly butchering its SEO game plan, whipped up a series of algorithm changes and updates such as Pigeon, Panda, Hummingbird and Google RankBrain to name a few, to get a handle on the situation before things went out of hand. The result: The birth of modern SEO. Google’s new SEO game plan ensured that only quality content showed up in Google’s lucrative Search Engine Results Pages (SERPs). According to Copyblogger, modern SEO copywriting is all about crafting content so compelling that other people want to promote it by linking to it or sharing it, which increases trust and authority and help pages you want to rank well for certain keywords. Creating content so compelling that readers can’t resist linking to it or sharing it, thereby increasing the sites’ trust and authority. Incorporating keywords strategically to make sure you rank high in search engine rankings. Long story short, modern SEO copywriting is all about high quality content and high quality content alone. In other words, to create content that’s highly engaging and user-friendly. This would guarantee websites with higher click-through rates and more organic traffic. Here are four major sweet spots in modern SEO practices. Focusing your attention on these four areas is sure to bring you optimal results in terms of traffic and conversions. Turns out, before Google RankBrain got launched, Stone Temple Consulting carried out a study to figure out the total number of Google search queries that failed to produce the right answers. For this, they analyzed nearly 1.4 million queries of which 163 answers seemed to be way beside the point. In other words, Google’s spiders failed to dig out the right answers for 163 search queries. I know what you’re thinking now. Isn’t that OK because it’s just a minuscule number? No. The problem here is that the internet had plenty of rich content to address these 163 queries. But then, who knows why, Google failed to interpret the content properly and in the process produced irrelevant search results. Step in Google RankBrain. This new algorithm, backed by application intelligence and machine learning systems, got its act together and managed to improve 89 of those search results. In the example given below, the query was “why are PDFs so weak”. The result was improved by RankBrain by understanding the context of the query. First, let me set this straight: writing with Google RankBrain in mind is a long-term and complex strategy. So if you are in for the long haul, go for it. Ready? Okay. Set aside the old-school formulas and focus on modern optimization techniques. Going all around the internet with a fine tooth comb to find the perfect keyword for your site? Nope. Don’t do that. The era of single keyword optimization is over. Modern SEO copywriting is all about multiple keywords. For this, you could make use of Google AdWords Keyword Tool and Google Search to scope out as many keyword phrases for your web copy as possible. And in case you’re planning to come up with a single, all-exhaustive blog post, think again. It’s now more important than ever to make provisions for a series of blog posts with a focus on incorporating multiple keyword phrases. For instance, if you are writing a web page on app development, instead of simply focusing on one keyword (e.g. create an app) focus, instead, on many keyword phrases like “iOS app development”, “android development” and so on. Make sure to include the keyword phrases in the headline and sub headlines. This will again ensure that your web page shows up whenever people type in app related stuff in the Search box. Modern SEO has no place for keyword stuffing. Upping your ante in terms of quality content is the only way to coax Google spiders to visit your page. That said, you need to incorporate keyword phrases to make your content relevant. In what proportion should the keywords be used? The answer is there’s no proportion per use. Weave keyword phrases such as “app development companies”, “app development software”, “android app development tutorial”, “app development course” and others, as naturally as you can into the copy. Don’t add them just for the heck of it. With the onset of RankBrain, Google-friendly content has swapped places with user-friendly content. Like it or not, your content has to be good in the eyes of users first and foremost. And Google, with the launch of Google RankBrain, has made it very clear that only the best content will find place in its Search Engine Results Pages. I know what you are thinking… How would one know whether the content created will match up to Google’s new standards? Simple – if users start sharing your content on social media pages, or start leaving comments on your blog posts or are staying on pages for a longer time, and even checking out other pages of the website, be assured your content is working. Rankings are good, but not good enough. Focus on content and the stickability quotient of your website. The bottom line: generate more in-depth content, epic pieces of content to be very precise, if you are really keen on pleasing Google RankBrain. To put it simply, Schema is a code that you need to embed on your website to help search engines fetch better results for searchers. Though not much in use, it’s considered to be the most powerful form of SEO optimization today. And the best thing about Schema Markup is that SEO webmasters, unlike before, will now have greater control over what appears in the search results. Let’s say the keyword “advancedwebranking” appears in your article. The search engine doesn’t recognize “advancedwebranking” as a Rank Tracking Tool, but some random name thrown in the article. However, if you put in the right schema markup around the name “advancedwebranking,” the search engine would recognize it as a Rank Tracking Tool. One of the easiest ways to implement Schema markup is to directly tag the HTML code on your web pages. You could even make use of Google Tag Manager, a free tool that enables marketers to add or update tags without any basic knowledge of website coding. Check out this SEL blog post to gain a better understanding of how to use Google Tag Manager to incorporate Schema Markup on your site. According to Behshad Behzadi, Principal Engineer at Google Zurich, in a keynote at SMX West, voice search is growing fast. Interestingly, according to recent studies, 55% of teens and 41% of adults are using voice search on a day to day basis. The appeal of voice chat is undeniable – it’s hands-free and helps with multi-tasking. On top of that, its error rate is just 8%, while the error rate in text search about two years ago was over 20%. When searchers type in a keyword, they usually prefer short sentences; in other words, short-tail keywords. But when they speak, they usually tend to speak in long sentences. Let’s say you want to know “who plays the lead role in Fast and Furious”. You would simply type in “lead hero fast and furious”. For voice search, however, searchers would in all likelihood be talking in complete sentences. To reach out to these searchers use natural, long phrases in your web copy. Or, in other words, use conversational, long tail keywords that answer user queries. It’s important that your brick and mortar locations and XML Sitemaps are readable to your visitors and search engines. Why? Because mobile users and voice searchers are looking for information like this, especially from their mobile devices. Voice searchers are more prone to pose questions that basically start with “Who, What, Where, When, Why and How”. These searchers are looking for immediate answers. To answer such queries, you could come up with an FAQ page. However, ensure that your questions start with the above mentioned adverbs. And more importantly, remember to keep the tone conversational to match voice search. With the increase in smartphone use it has become really important now to make your website mobile-friendly. According to this Moz article on SEO and digital trends in 2017, mobile search these days is attracting more traffic than desktop. In fact, 20 of the 24 industry niches look at mobile as their primary source of traffic. No wonder Google has been giving importance to mobile-first indexing. In fact, the search engine giant has made it clear – if you want your website to rank higher in search engines, make sure your website is mobile optimized. Designed expressly with the purpose of making sure that businesses give significant importance to mobile-indexing, Google launched Google AMP in 2015. AMP stands for Accelerated Mobile Pages, a Google-backed project that helps websites come up with faster-loading mobile pages. So if your website is receiving large volumes of traffic from mobile search, then it’s better for you to roll up your sleeves and start digging for ways to AMP-up your site. The AMP project was initially built for managing news and blogs. But then, the whole point of coming up with an AMP project was to make content accessible, better and faster on mobile for all websites, irrespective of the industry they fall in – whether it was news, retail or travel. By far, AMPs have proved quite successful for news and blog sites. And today, the model has been enhanced to accommodate the needs of the eCommerce industry as well. By the way, it’s considered a perfect fit for the eCommerce industry given that the goal of AMPs is to enable a faster loading of pages that lead to better conversions. So the eCommerce industry should be milking it for what it’s worth. That being said, an eCommerce website should go slow when it comes to adopting AMP fully. Start in parts by testing the performance and ROI of a particular category or page and then move on to amplify other pages. Apparently, content features such as product descriptions, reviews, images, and others can easily be amplified today. More to the point, being backed by pre-built components, it enables you to build interactive experiences on your website, such as carousels or instrumentation to collect analytics data. For more information, you could check out this post on the AMP project. SEO has changed for good. Google is upping its ante time and time again, through constant algorithm updates that make sure websites don’t sacrifice quality on the altar of traffic. The methods mentioned above are the major sweet spots that could help businesses get their act together and ensure they are on the same page as Google’s algorithms. What other modern day SEO strategy has helped your business grow? Let us know in the comment box below. Great post. I think longer tail keywords are so important, especially when driving more targetted traffic. I have experienced great results from Schema plug in for my WordPress sites – so this is another option for non-developers wanting to implement Schema Mark Up. Thanks Jini, for sharing this useful post with us because content is one of the top level thing to win you audience on web. Thanks for the insights Jini! I see you didn’t make mention of any content structuring. Do you still consider this to be a priority? What I am referring to is breaking content up into structured paragraphs/sections with relevant headings. 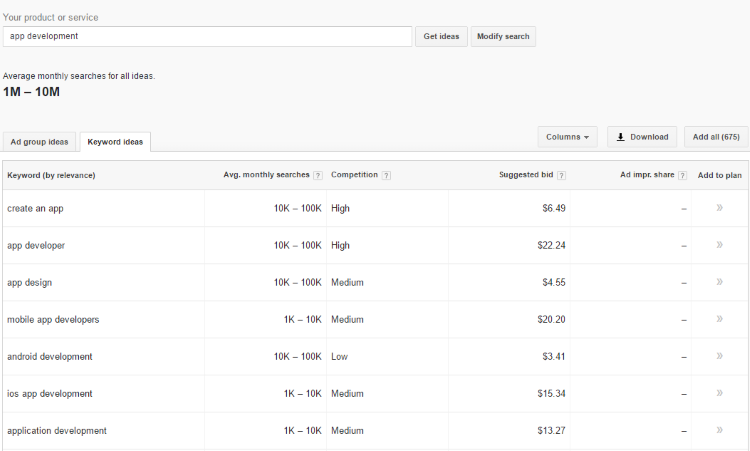 Not only is this useful for search engines, but it also gives users a quick overview of what’s being covered. Would be good to hear your thoughts on this. Thank you.